Due east of Napa, tucked away in northern California's rolling Dunnigan Hills, is a little town called Zamora. Back in the late 1800's, folks used to call it Black's Station. At its height, this hub founded by J.J. Black boasted a hotel, two stores, a jail, blacksmith shops and a town hall. Today we grow our grapes in Zamora and we'd like to think that the wines carry with them the character and frontier-style of the old town. 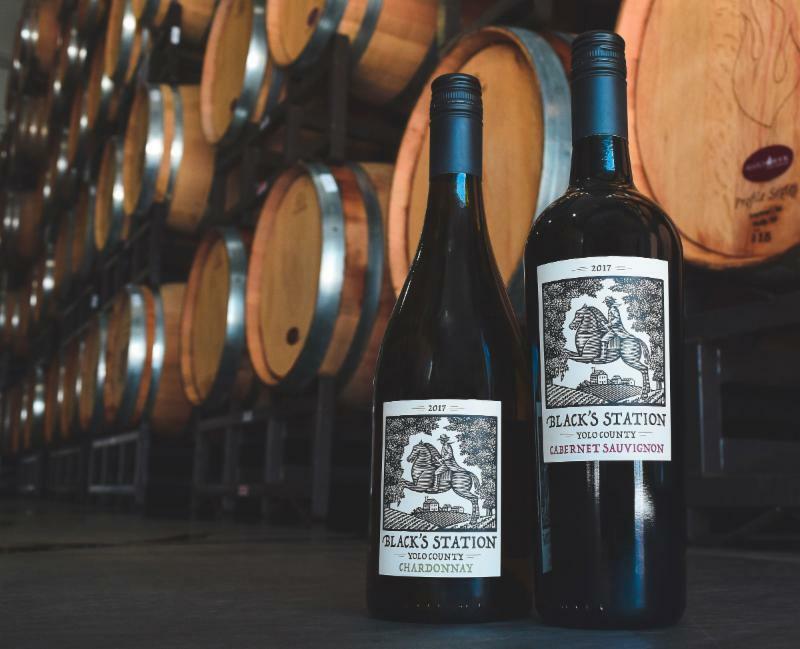 Black's Station wines celebrate the virtues of Yolo County: homegrown fruit farmed with careful attention to quality and an eye to value. Black's Station sticks to the classics, Chardonnay and Bordeaux varietals, grown in our vineyards and made to showcase the spirit of our region.